THIS PIANO IS AN OUTSTANDING FIND! Owners downsizing and must sell. •	Classic Steinway built in 1947. 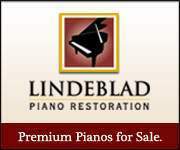 Has original ivory keys in excellent condition. Original sharps also in excellent condition. 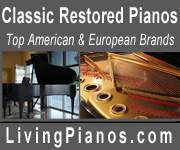 •	Fully restored with authentic Steinway & Sons parts. New hammers, shanks, flanges (felt bushed), wippens (repetitions). •	Cabinet completely refinished and in beautiful condition, with minor sun exposure to finish on the top.